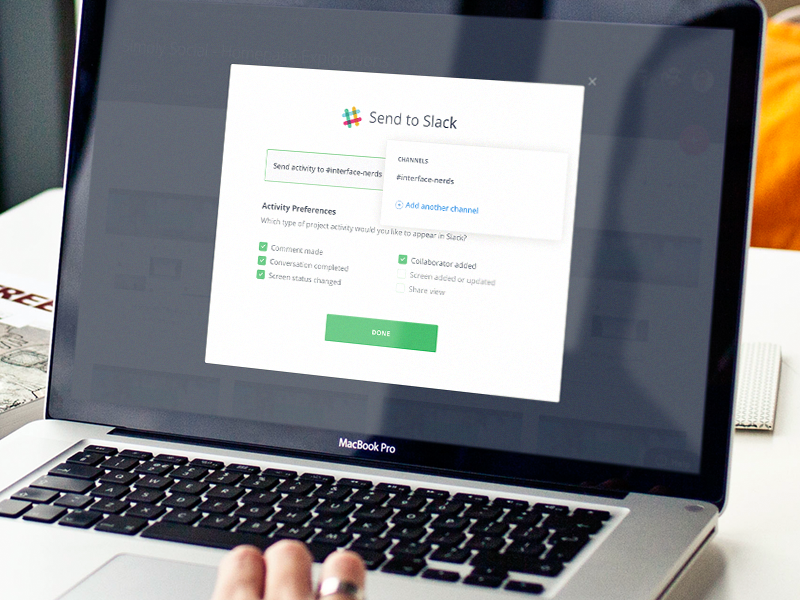 InVision and Slack are teaming up to take design communication and feedback to the next level. The world’s best product design teams (like Twitter, Uber, and Evernote) are already using InVision and Slack to design and collaborate, and this integration brings the best of the 2 services together. Now, changes you make to InVision projects—like comments, screen changes, and project statuses—are automatically synced with Slack. You get instant notifications, previews of changes, and you can click through to comment—speeding up team design review, creating easier conversations about design, and providing fast, easy feedback loops on your design projects. Customize your Slack sync for each of your existing projects—show all project changes, or only when screens need review. The integration brings the design feedback process into existing team collaboration channels. *Disclaimer: You may need to have your Slack admin authorize your Slack account to allow third-party applications. If you’d like more technical details about the feature, please check out our knowledge base article. Ready to start using InVision in Slack?